Of the three sow-thistles this is the only one with prickly leaves although the young basal leaves are not spiny and are a different shape to the mature ones which arise alternately on the upright hollow stem. This annual plant is common on wasteground, hedgebanks and roadsides. 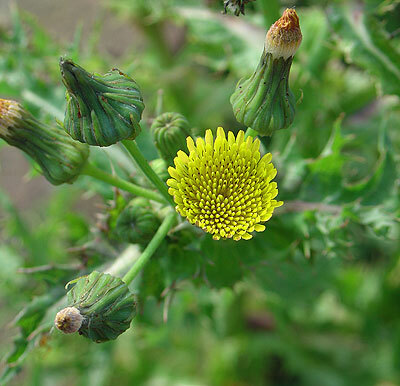 The bright yellow dandelion-like flowers appear between May and August and it spreads by seeds which have short plumes of silvery-green hairs.